The University of British Columbia is located on the traditional, ancestral, and unceded territory of the hən̓q̓əmin̓əm̓ speaking xʷməθkʷəy̓əm (Musqueam) people. This research guide provides resources and research strategies for deepening knowledge of this relationship and of Musqueam. Map from the Musqueam Declaration, 1976. Includes protocols for working within Musqueam territory and with the Musqueam nation. 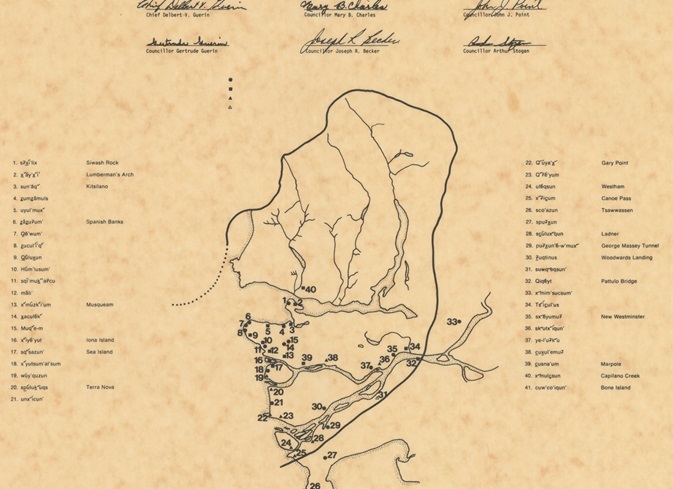 Information on Musqueam treaty process, including Statement of Intent (SOI) and SOI map. TIP: Try searching "Musqueam endowment lands development" and "UBC Block F" using Google to find out about recent announcements for Musqueam land development. 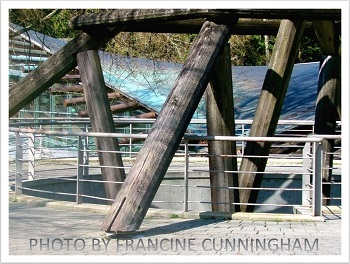 "The Musqueam people have been here since the beginning. [...] From the youngest Elected Chief and Council in 1951 and ongoing legal precedents, such as the Guerin case (1984) and Sparrow Case (1990), Musqueam Through Time tells the story of a timeless culture that continues to guide not just the Musqueam people, but Canada as a whole." Created for Musqueam Indian Band by Gryphon Productions (c) 2010. All rights reserved. See CBC News article "'We're still here': Musqueam elder reflects 30 years after Pacific Spirit Park protest" by Roshini Nair (2019, April 21) for more. A collection of digitized newspaper clippings from the mainstream press about Musqueam's precedent-setting legal battles. Indigenous Foundations also highlights the Guerin Case and the Sparrow Case. For Indigenous press, try searching within Indigenous newspapers, such as Windspeaker or Kahtou News, through the CBCA Complete database.